Patio furniture has advanced technologically, as well as aesthetically, in the last few years. Now manufacturers are making chairs and loveseats with motion, a modern interpretation of the rocking chair. So if a customer is looking for something contemporary and comfortable (but with movement) for their porch or backyard patio, here are some ideas that might help them. Homecrest has added another layer of comfort to three of their Deep Seat Collections. The Dual Motion Loveseat has now been added to their Midtown, Trenton, and Tribeca Deep Seating groups. Along with added motion, they have also added width and depth. 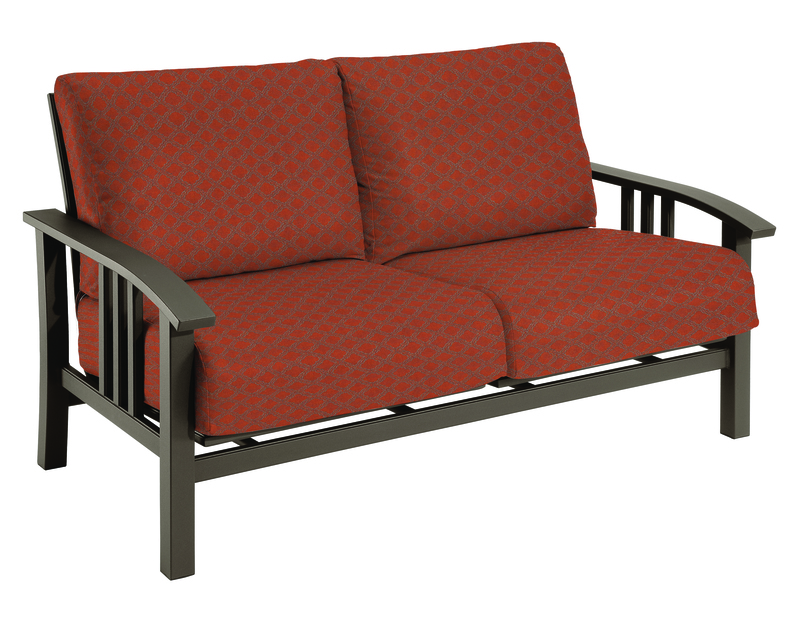 The Dual Motion Loveseat is available in all Homecrest Deep Seating fabrics and durable frame finishes. 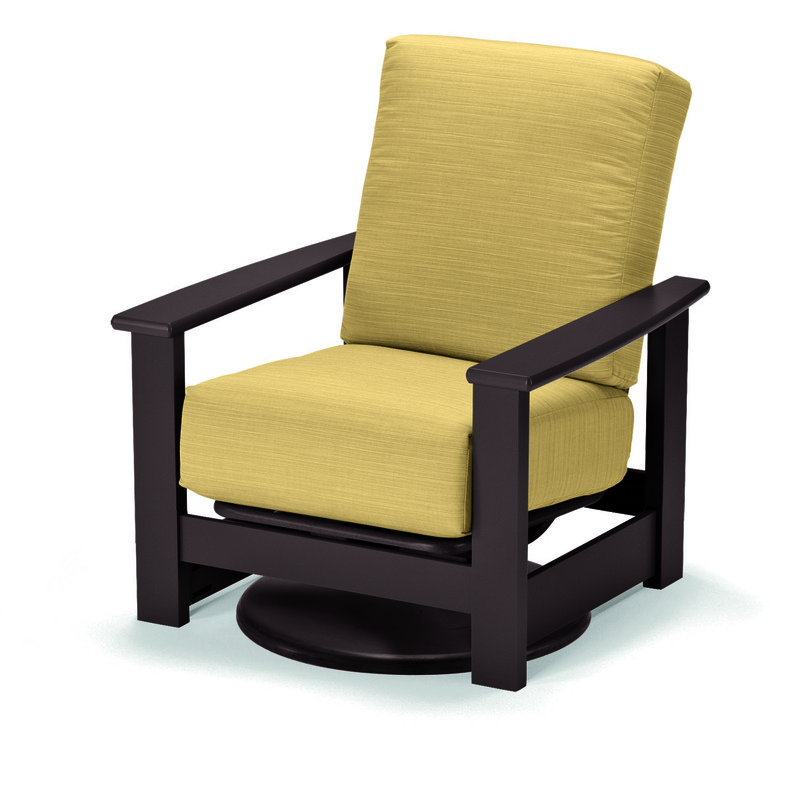 An updated version of the rocking chair, The Leeward Deep Seat Cushion Swivel Rocker from Telescope Casual is ideal for lounging on the porch or by a fire pit. Not only does it swivel, but it also moves independently so you can rock at your own pace. It is constructed of their MGP recyclable HDPE and contains up to 30% recycled resin. It is available in 5 MGP colors and a wide range of cushion fabrics.